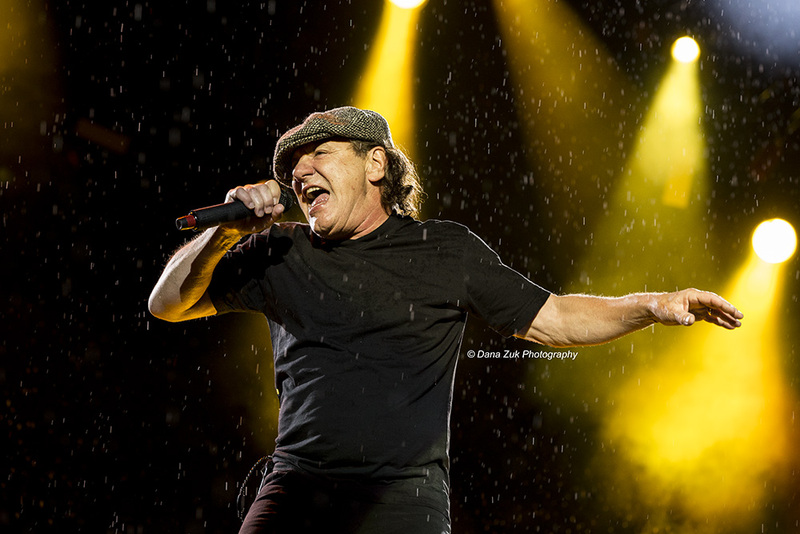 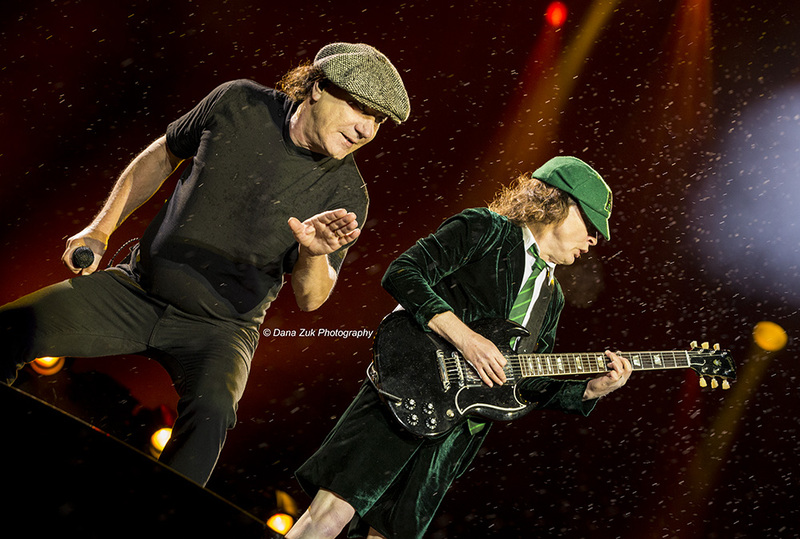 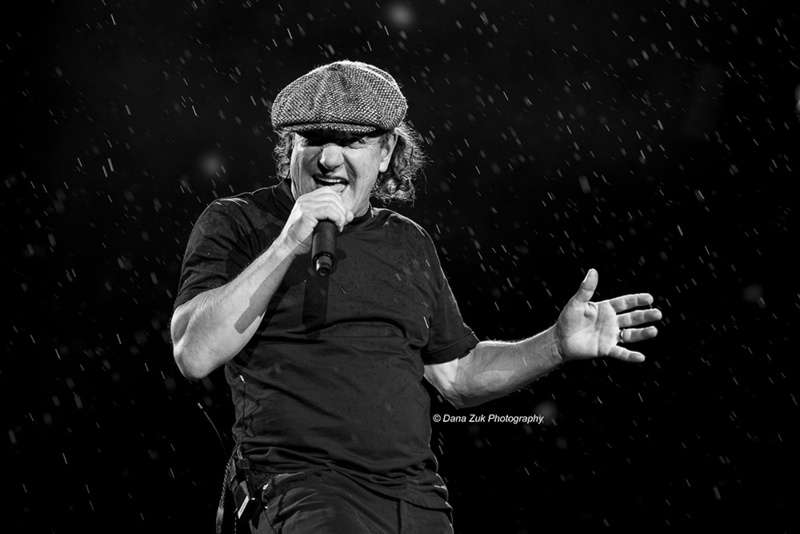 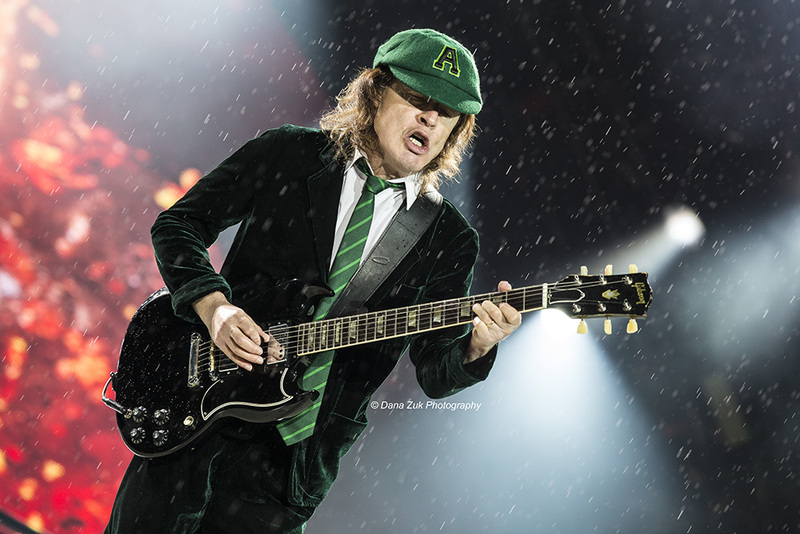 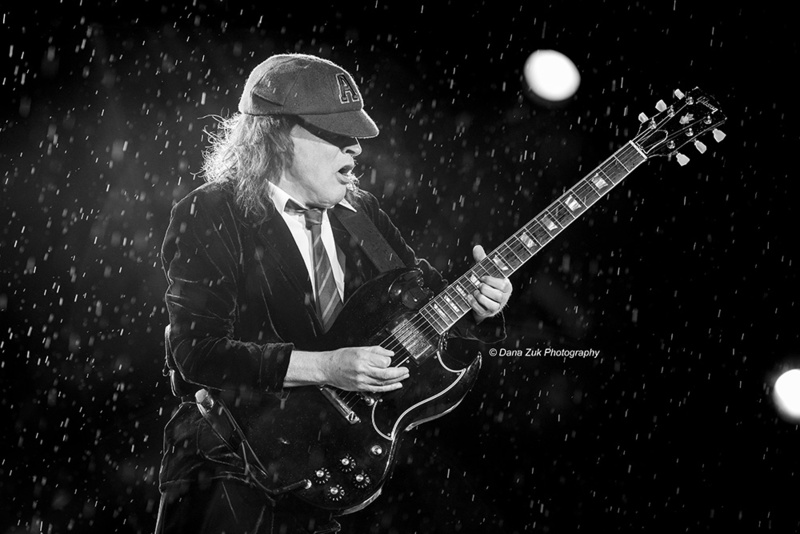 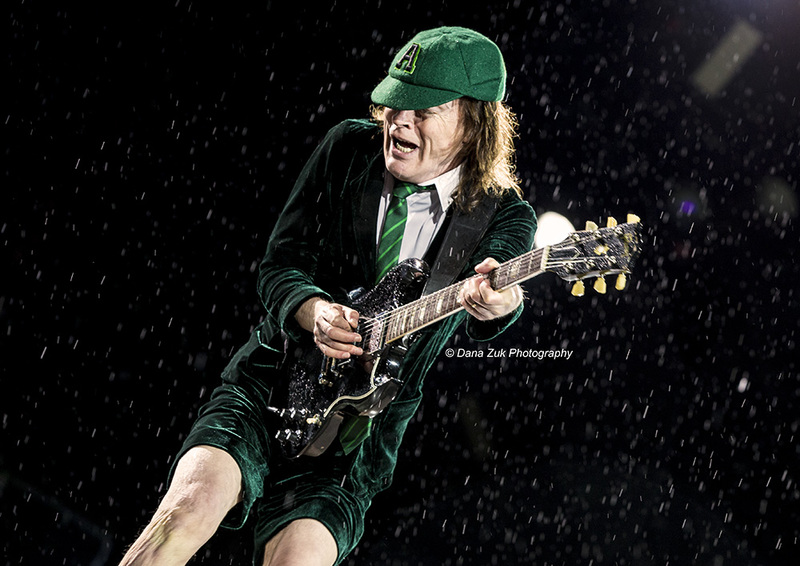 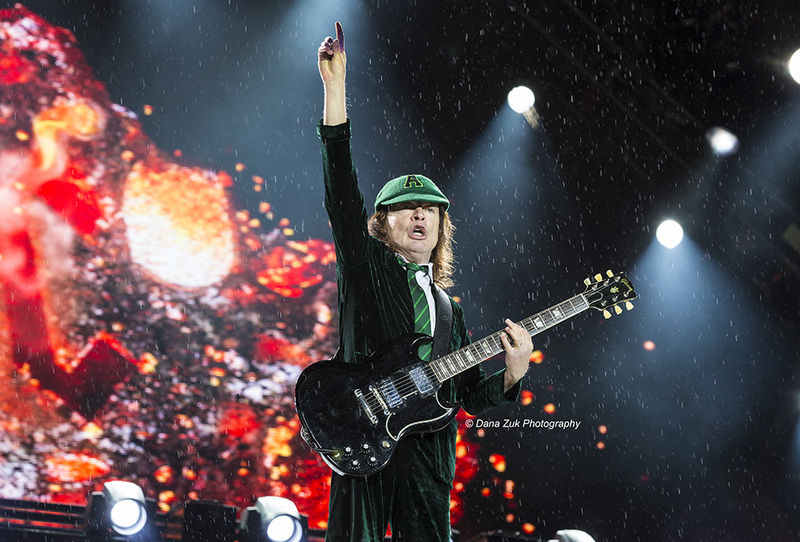 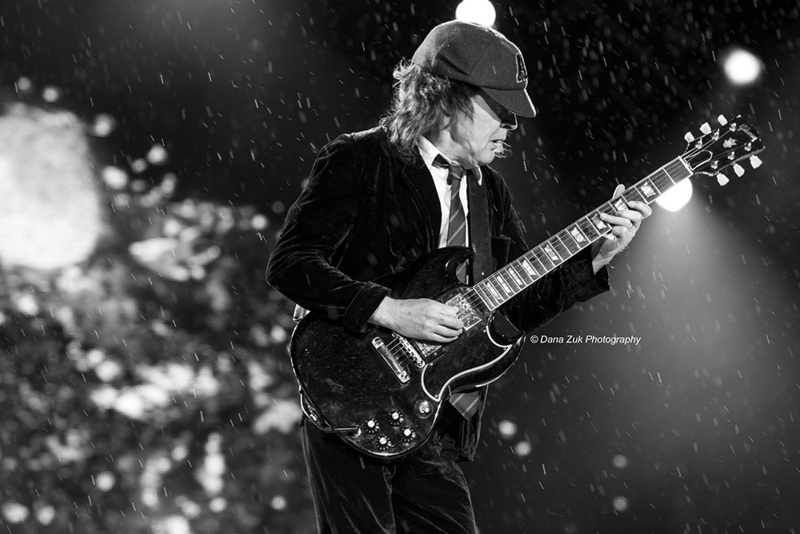 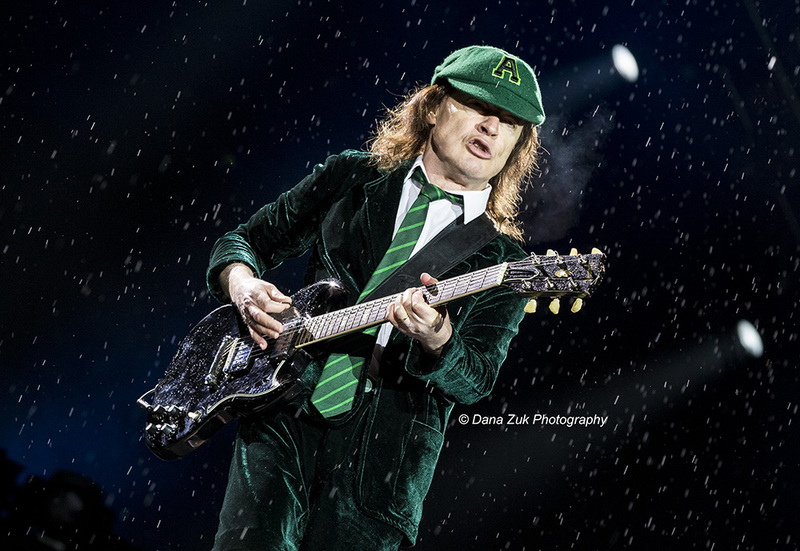 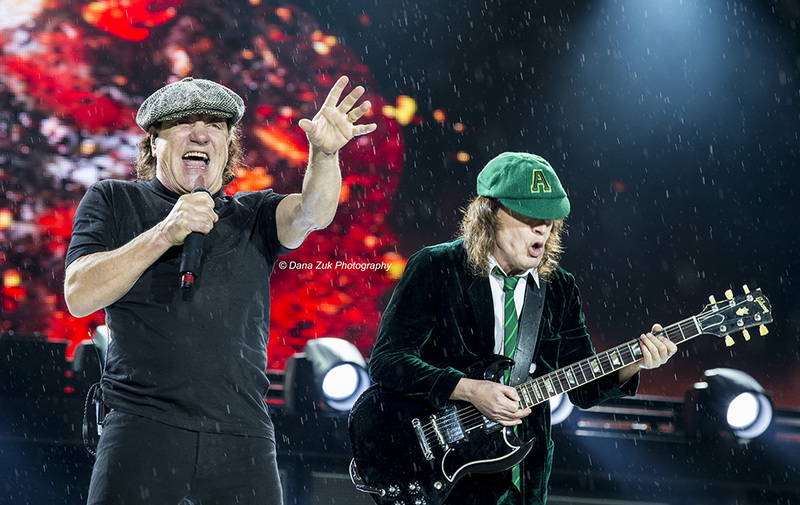 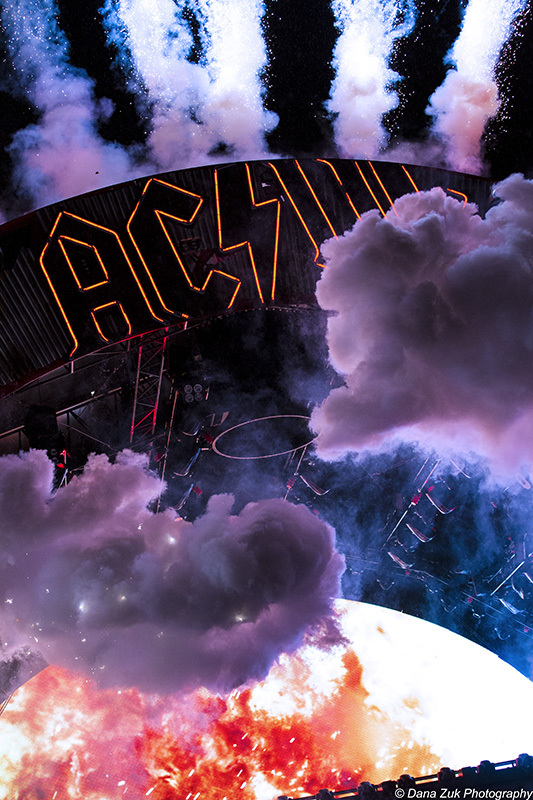 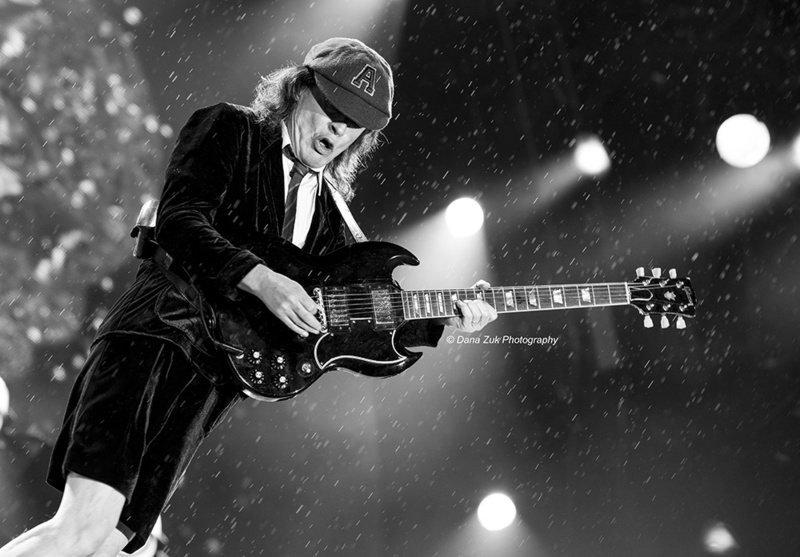 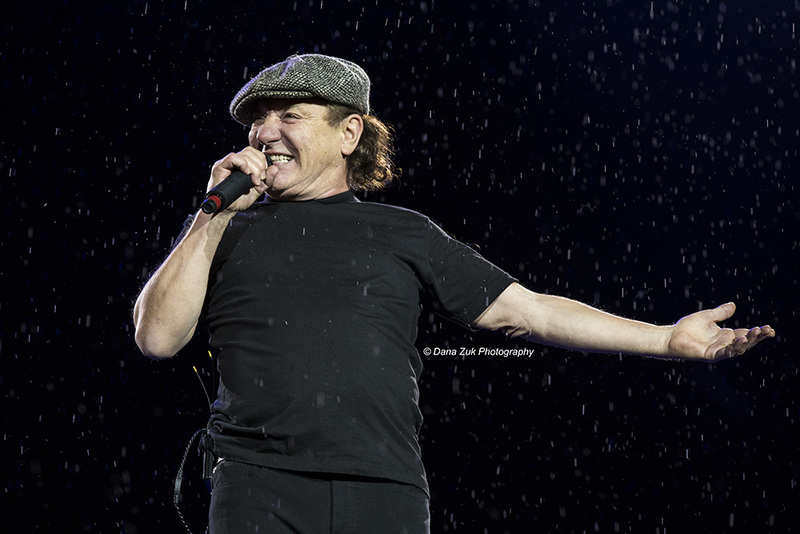 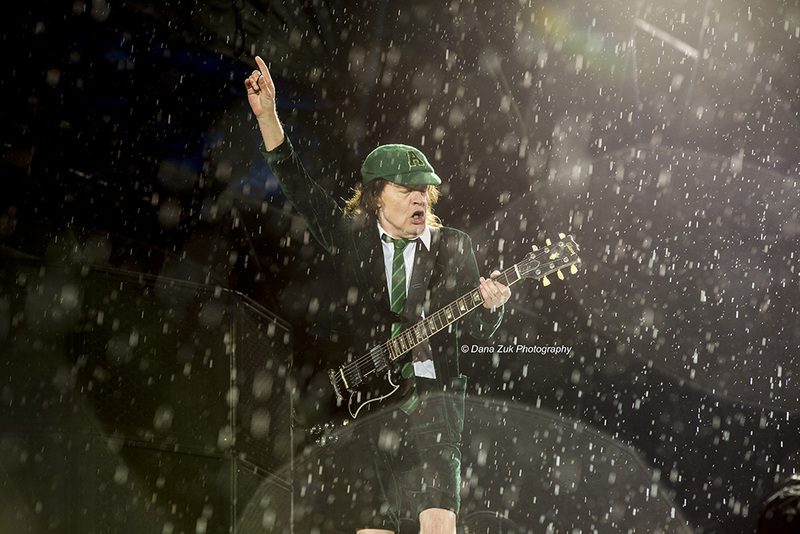 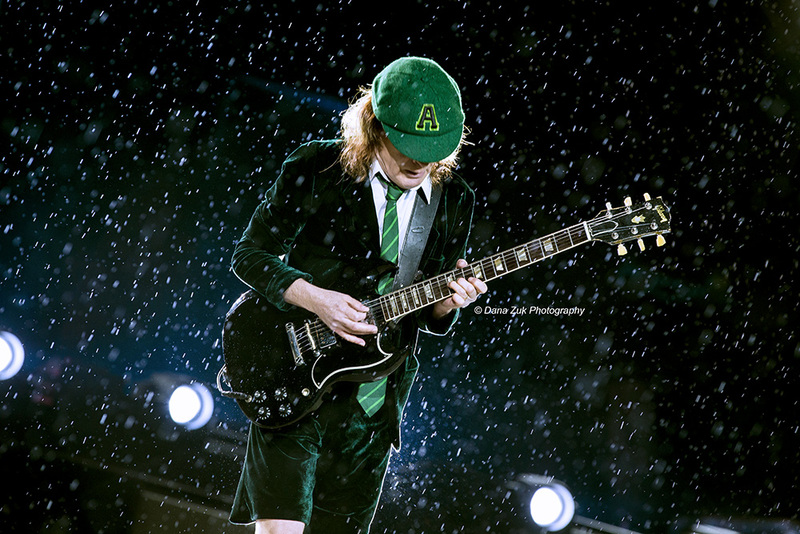 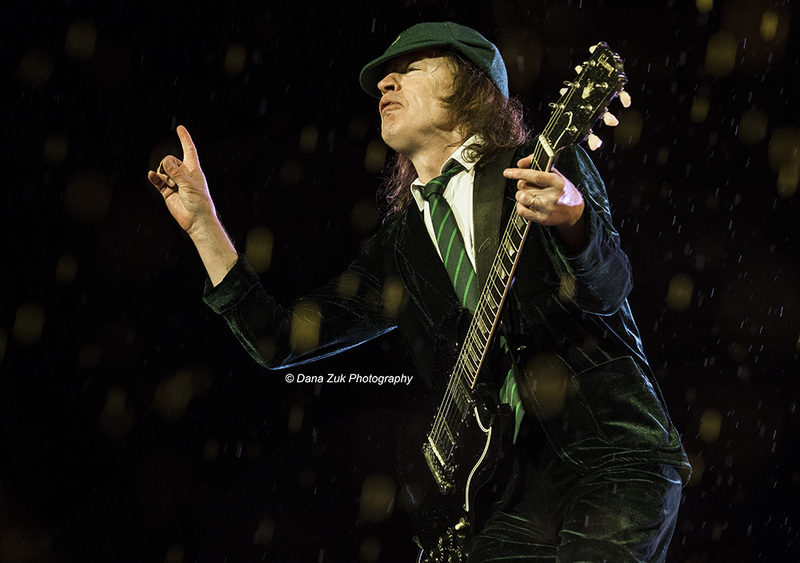 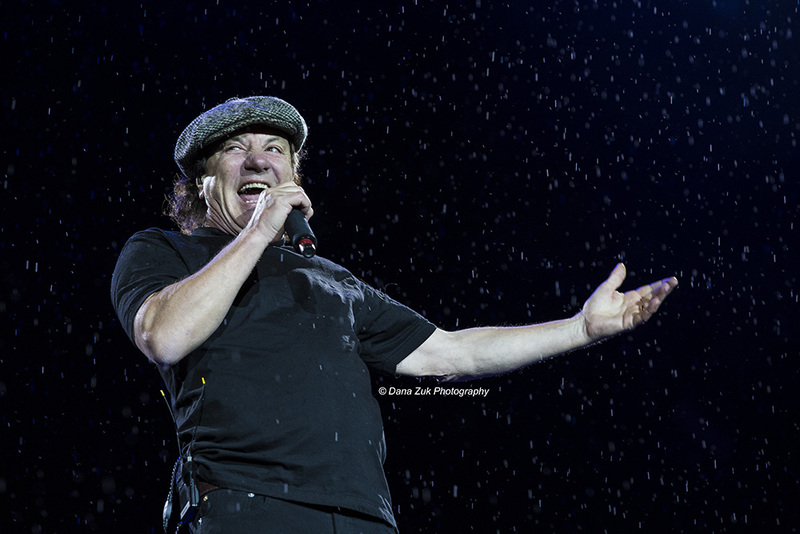 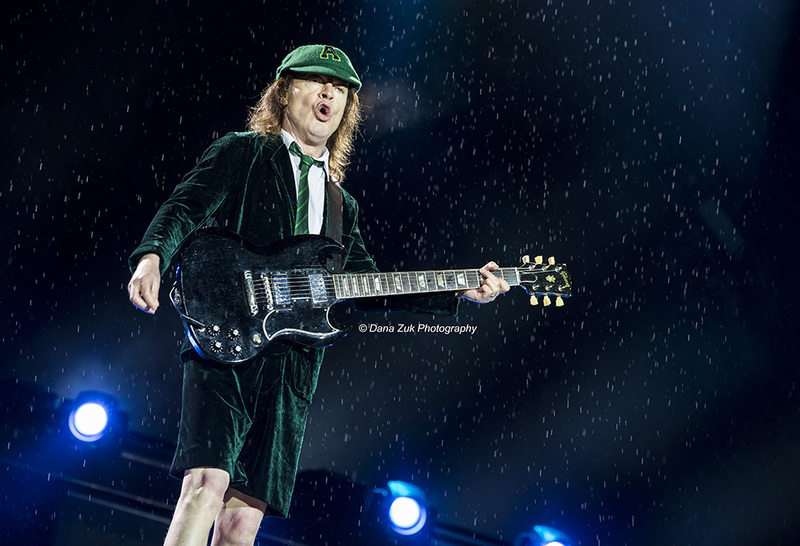 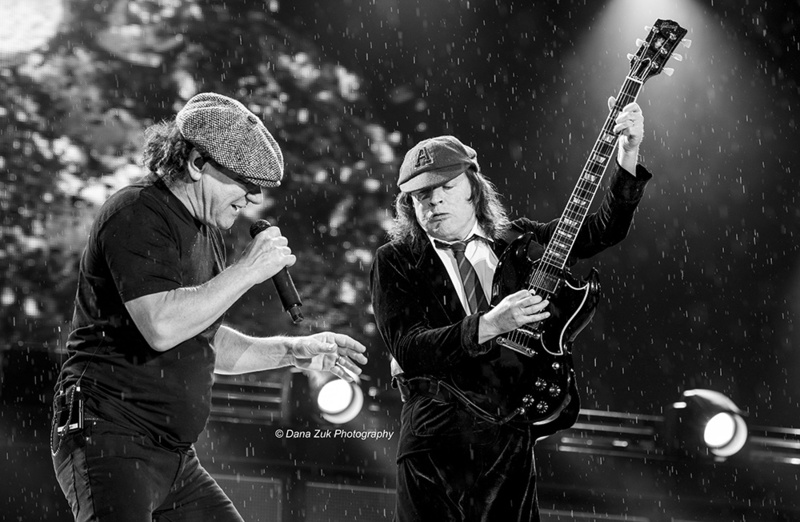 Hordes of people flocked to Commonwealth Stadium on a very rainy Sunday night to catch the notorious rock 'n rollers, A.K.A the infamous thunder from down under, AC/DC, as they bashed their way into Edmonton, Alberta on the Rock Or Bust tour. 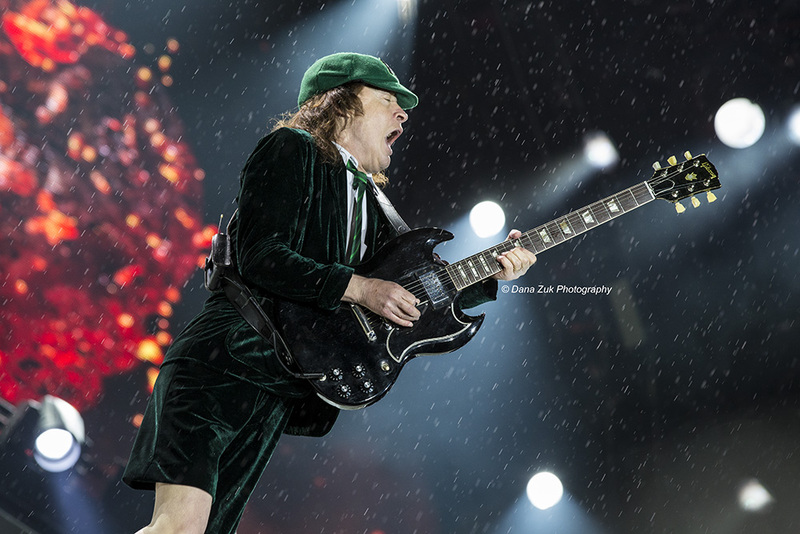 Despite the foul weather, Edmonton's die-hard AC/DC fans of all ages were not phased, as thousands of people could be seen bundled up in rain ponchos with umbrellas in hand and smiles on their faces. 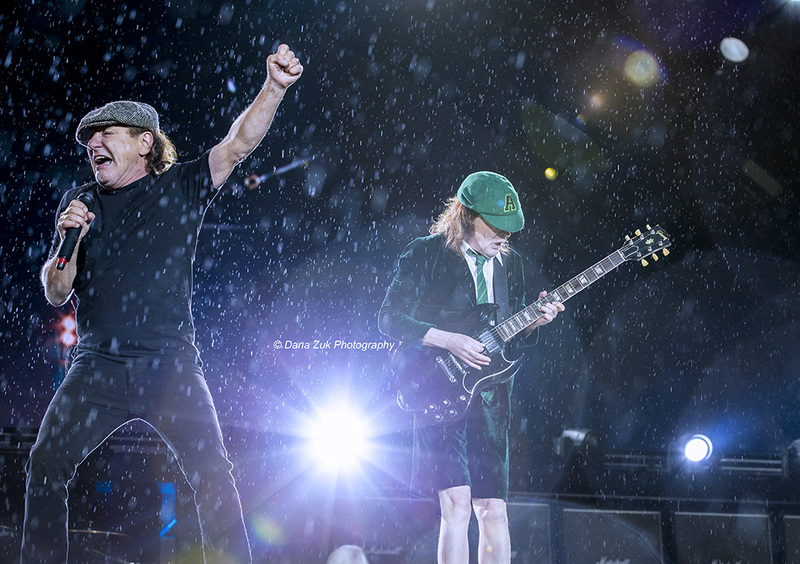 Being surrounded by such and overwhelming abundance of positive energy of this degree was amazing, to say the least. 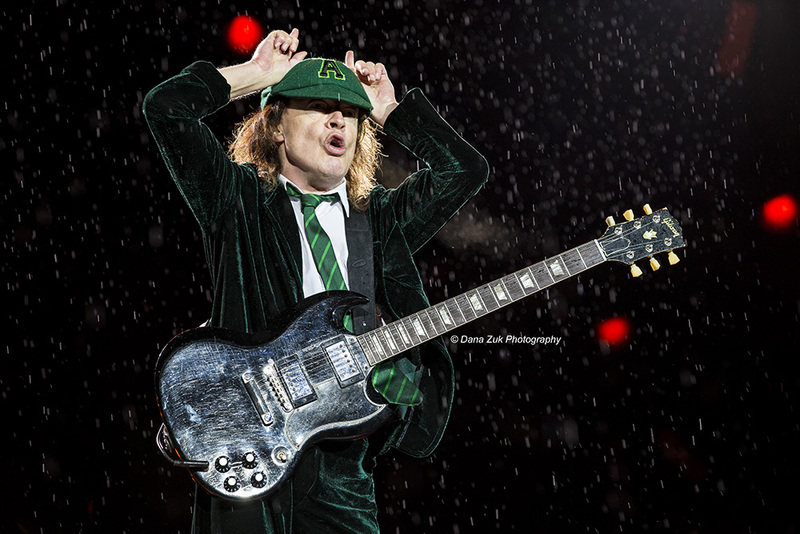 The rain couldn't dampen the mood in Commonwealth Stadium, even if it was pouring buckets. 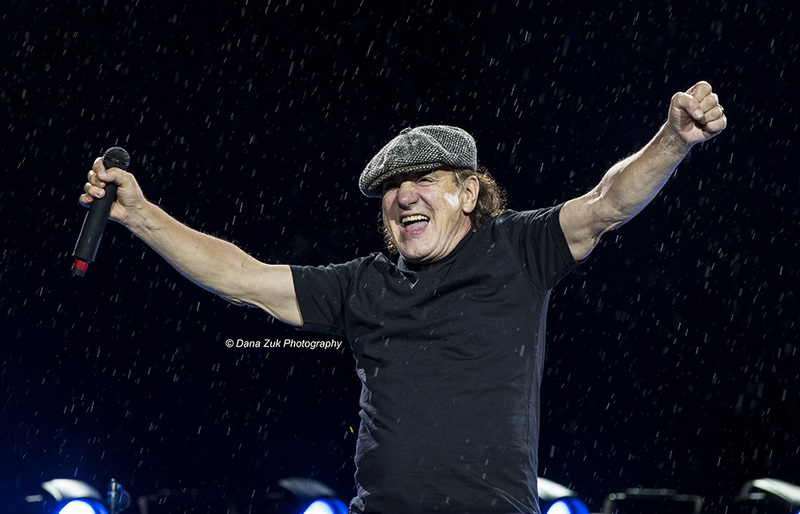 All the while, seeing rock 'n roll gods still young at heart; running around and having a total blast on stage, performing to an audience in awe, is truly something magical that's much too sacred to put into words. 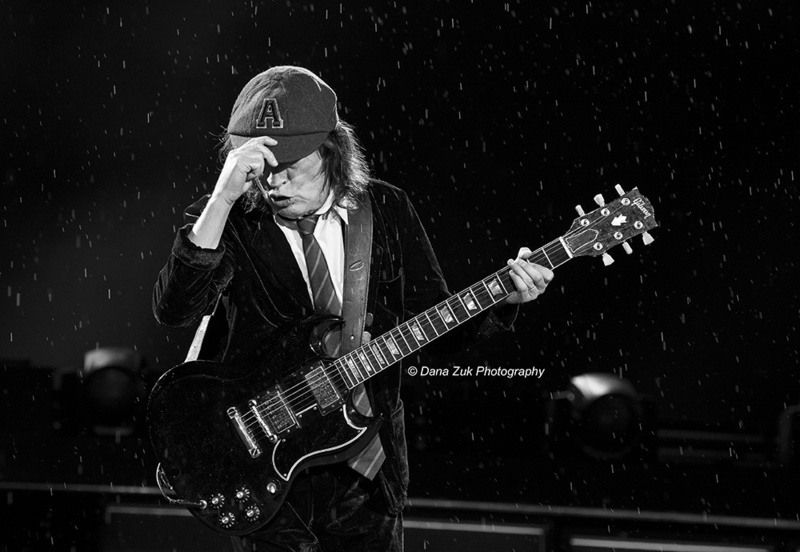 So on that note, keep on rockin' AC/DC, I salute you!